On Feb. 17, 2009, President Barack Obama signed legislation that created the federal government's meaningful use electronic health records incentive program. Nearly 10 years and $35 billion in federal incentives later, hospitals and health systems are still struggling with EHRs, as new installations disrupt workflows and cost millions of dollars, eating into their bottom lines. Earlier this month, Trinity Health reported a $107.8 million asset impairment charge for its fiscal 2018 related to its hospitals and continuing-care facilities switching to a single version of Epic EHR and revenue cycle management software, a four-year project with an undisclosed cost. Trinity officials said they were not available to comment. The federal government fed the initial investments in EHRs. Through May 2016, it poured $34.7 billion into incentives for adopting EHRs, money that many health systems went after. As a result, hospitals and health systems spent millions and sometimes billions of dollars each to install new health record-keeping software. A newly live Epic EHR installation at the Mayo Clinic, for instance, made up a chunk of the health system's overall $1.5 billion investment in new technology. Partners HealthCare spent $1.2 billion on an Epic EHR, with installation beginning in 2015. And Scripps Health ran into some EHR-related road bumps a few year ago, reporting weakened financial results as it readied an EHR conversion budgeted for 10 years to cost just over $300 million and expected to incur $360.5 million in operating costs. Once installed, EHRs are supposed to help hospitals and health systems clinically and financially, making them more efficient. But the benefits along those lines have been elusive. The software can sometimes work against hospitals and health systems, some of which have taken financial hits from the cost of implementation, driving up operating expenses. There are signs that the industry has had enough. Allied Market Research estimates that the growth in global revenue spent on EHRs, while significant, may be slowing. While opportunities in “untapped markets” remain, “high cost of EHR software and increase in concerns related to safety and security of data have hampered growth of the industry,” according to the firm. The research firm expects the global EHR market to grow an annualized 5% per year to $33.3 billion by 2023, from $24.9 billion in 2017. Many hospitals and health systems are reticent to discuss the specifics of their EHR installations or to say whether a new EHR led directly to changes on their balance sheets. Those that did agree to discuss the topic, as well as others familiar with EHR go-lives, stressed the importance of planning. Given suitable preparation, the hope is that hospitals can weather the storm, eventually emerging from an installation stronger, thanks to new technology. Banner Health did that. When the 28-hospital system transitioned its Tucson, Ariz., hospitals to a Cerner EHR, it prepared ahead of time for training, an inevitable slowdown in productivity, workflow shifts and other changes. After implementation, providers reportedly made more medical errors. The $45 million project also played a part in the $92 million hit to university delivery operations Banner took in 2017, a year in which it spent $24.3 million on the EHR conversion, according to a financial document. The health system had a standby line of credit available in preparation for unanticipated financial need—though it never had to use it. But it was an important safety net to have in place in case of a slowdown in cash collections; Banner would have been able to access that credit line to make up for shortfalls in cash flow to meet its day-to-day capital obligations, said Dennis Laraway, Banner's chief financial officer. To make sure an EHR is successful after it's put in place, a health system might bring in additional resources, such as more revenue cycle staff. “Incurring the additional cost post-go-live mitigates further financial risks,” Laraway said. Looking at EHR deployment in terms of the long run, rather than in terms of a two- or three-year return, can also be helpful, said Scott Kolesar, Americas health technology innovation and digital leader for Ernst & Young. 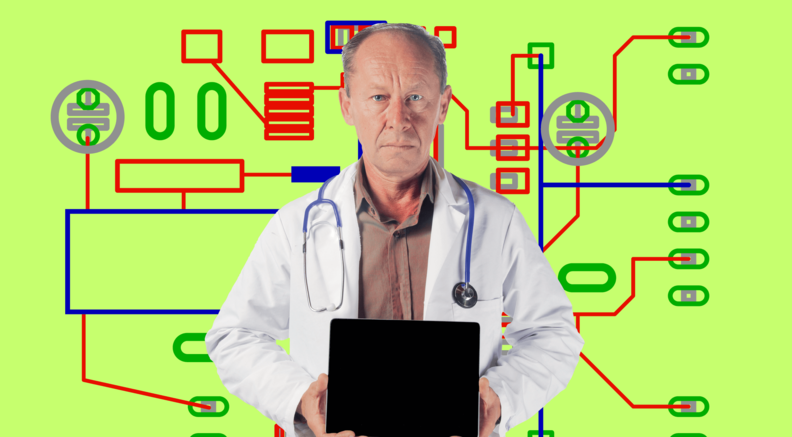 It's almost inevitable for a new piece of software as all-encompassing as an EHR to slow patient volume temporarily as providers, learning to use the new system, are less productive. At Vanderbilt University Medical Center, operating income dipped after the 2017 systemwide installation of an Epic EHR, a project budgeted at $214 million. “The EMR implementation put pressure on clinical volumes in the post-live period although we have achieved net patient services revenue in excess of our budget, the implementation has muted procedural volumes,” according to a 2018 disclosure report. But temporary productivity dips can be countered. Vanderbilt has gained efficiencies, said John Howser, a spokesman for the health system. Those include improvements to patient billing and faster laboratory turnaround times. There are many reasons success can be elusive, including culture. “A common issue is gaining buy-in from key stakeholders and building a common understanding of the reason the institution is devoting so much effort to the undertaking,” said Michael Abrams, managing partner at consultancy Numerof & Associates. Going forward, health systems and hospitals should think hard about what kind of software will be worth it, Kolesar said. “There's going to be a next generation of what we'll call for today EHR offerings that will begin to replace these big monolithic vendor offerings that are currently impacting the bottom lines of hospitals,” he said. That could be something from Google, Amazon or Apple, he said, or it could be a marketplace of cheap apps that mirrors the app marketplaces for smartphones.